Nunavik, Arctic Quebec is a hidden gem for polar bear viewing. The East coast of Ungava is truly a remote region, bounded by sweeping landscapes and far from mass tourism. Each fall, the coastal waters team with arctic char and polar bears gather near the rivers to feed. Every day, we will travel by float plane and then on foot to photograph polar bears at eye-level. 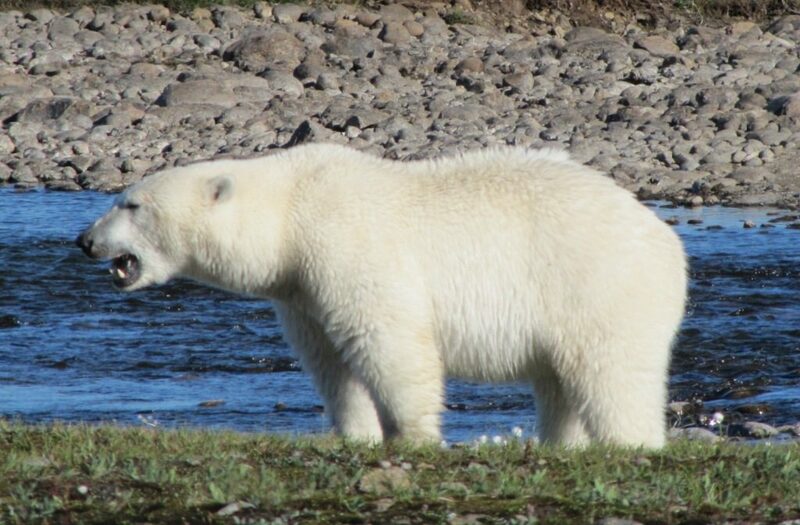 The East Ungava coast offers the unique opportunity to glimpse polar bear family life; mothers teaching their cubs how to fish, cubs playing, bears swimming… Mid-August to early September is peak “fishing bear season”. In September the first snowfall has just arrived in the Torngat Mountain, making for some truly inspiring photographic opportunities.